Hairspray chipping is already somewhat complex on its own, but with experience it may be combined or improved upon to create some rather elaborate effects. Pre-shading involves precise airbrush control and can be considered a challenge on its own. Here is a tutorial on the basic technique. With a bit of courage, it’s possible to combine hairspray chipping and pre-shading, but this means working on a timer and requires a bit more planning. If you plan on using pre-shading and hairspray chipping together, preparation is important. The superposition of two layers of paint means a thicker coat of acrylic to chip, which is a bit harder to pull off. This can be made easier by layering a few more hairspray coats beforehand. Using two tones of paints as part of your top coat means cleaning the airbrush in between and having to keep track of drying times: you may have to work in smaller batches of parts in order to maintain the timing described above. The colors involved mean it will be harder to obtain the contrast required for the effect to be noticeable, since there is already a stark contrast between the base color and the top color. Depending on the color scheme, pre-shading and hairspray chipping can be either a waste of time or a rewarding and impressive aspect of your kit. Some builders wanted to add another degree of realism to their paint jobs. Since real-life tanks, airplanes and vehicles would have a coat of primer underneath the top coat of paint, some paint chips should reveal primer while others should go all the way to the bare metal underneath. This effect is particularly striking on some aircraft models which use a deep yellow chromate primer under drab military colors, making some paint chips have a yellowish outline. Anything for historic accuracy, right? To do this, one must apply a first layer of hairspray, apply a first coat of paint (to simulate the primer undercoat), chip it, protect it with a clear coat, then another layer of hairspray, another hour, followed by a second top coat of paint. The paint coats involved should be thin to prevent loss of detail and excessive difficulty in chipping. The chipping process is done as usual, but the extra efforts yields a new level of realism to the paint chips. Make sure to practice this one first before trying it out on an expensive kit, and respect the drying times involved in the basic technique! For more info regarding laying hairspray chipping check out this great tutorial from Doog's Models. Sometimes you find out life has become too easy and you realize you need a challenge. Some people turn to extreme mountaineering, deep sea diving or ultra-marathon racing. Others will go for camouflage hairspray chipping. Go figure. All jokes aside, this technique is not much harder than the above, but a lot more tedious. Assuming a two-tone camouflage job, the first step is done as described in the basic hairspray chipping section above. It’s critical to completely protect this first step with a nice glossy clear coat, which must harden and cure fully before the next step. Give the clear coat 72 hours for it to harden to a maximum. Apply camouflage masking (tape/putty/whatever) as you would in a regular camouflage paint job. I have found that the glue in masking tape may cure in place and damage the undercoat upon removal. 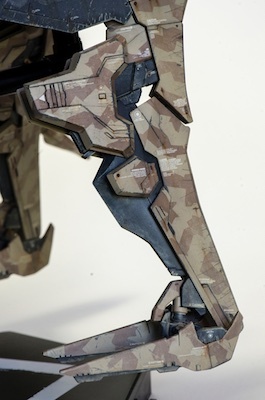 This is why it’s impossible to do a camouflage paint job without a clear coat to protect the first layer of chipped paint, which is somewhat fragile. 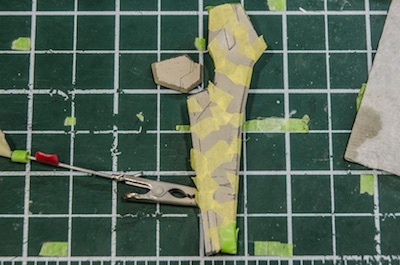 Still, try to keep the masking in place for the shortest amount of time possible. Cover the masked parts with a few layers of hairspray, wait an hour, then apply the second colour to your two-tone camouflage paint scheme, as thin as possible. Obviously, this will hide some of the previous paint chips… Let this coat dry another hour. Here’s the interesting part. 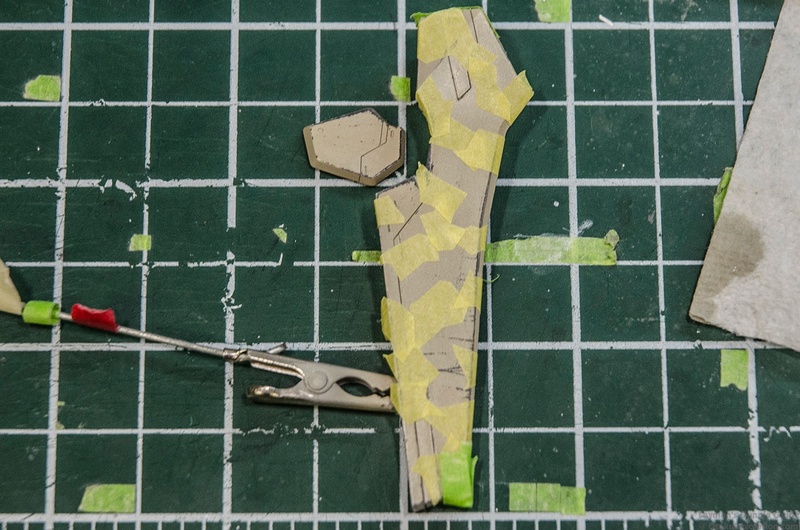 After carefully peeling the masking, the chipping process on the second layer of camouflage paint must literally match the chipping from the first coat of paint. This is nearly impossible, but try your best. The edge wear and tear should match, and with a bit of luck you’ll be able to see the previous paint chips through the thin second coat. This is not an exact science, but the result will be very convincing. If you’re going for a three-tone scheme, clear coat and repeat the process. Mental illness is a serious issue! 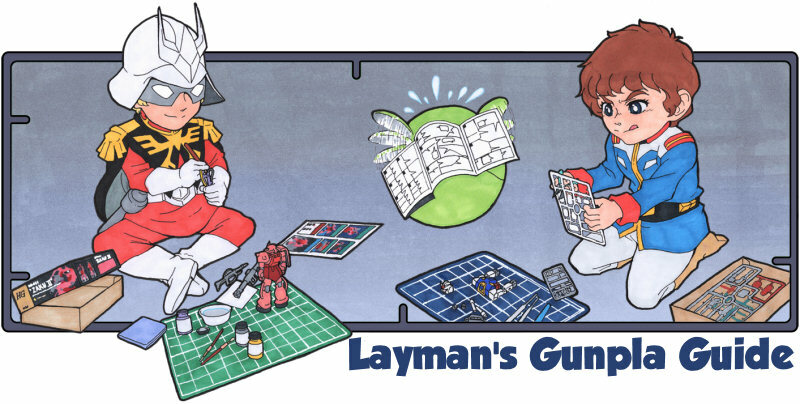 There are so many coats of paint and clear varnish involved in camouflage paint chips that you will have to deal with significant loss of detail and panel line filling if you don’t keep your coats of paint to the bare minimum in terms of thickness, starting with the primer. 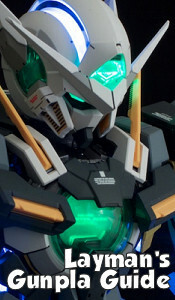 On my “Bellerophon” build I skipped the last gloss coat and panel lined right away before the panel lines got too shallow to work with, and then I gloss coated for decals. This process is fun, rewarding, and excruciating at the same time. It will likely involve some touching up and damage control at some point, but be ready for an overall impressive result. Good luck! Here’s camo hairspray chipping combined with panel lining, decals, pencil chipping, oil washes and pigments.